The Faculty of Arts, in partnership with The Ian Potter Museum of Art, is pleased to present a four-part masterclass on Greek mythology and the significance of religion in daily life through the study of myths and ceramics. 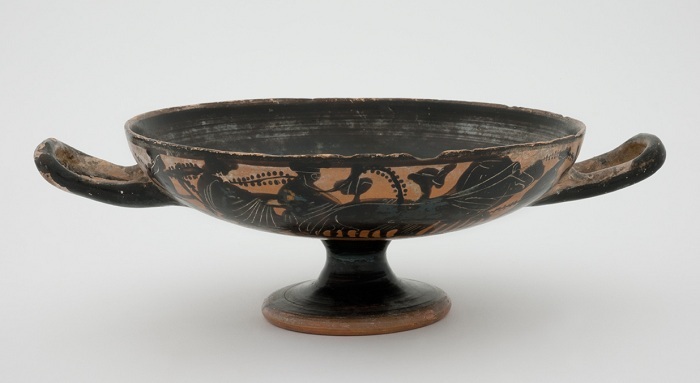 Each week case studies on figural vases from The University of Melbourne's collection were used to explore the relationship between religion and art in ancient Greece. Imagery, object function and use, and Greek mythology from an archaeological perspective were examined. Supplementary material, such as coins, a variety of ancient ceramics, and teaching collection sherds were used to illustrate the broader themes addressed in the program and related participatory activities. Participants gained analytical skills by placing depictions of Greek mythology into a broader context of civic, cultural, and household significance; evaluate archaeological and art historical criteria relating to Greek mythology, and an understanding of the significance of context in the evaluation of ancient evidence. The University of Melbourne Art Collection. Gift of David and Marion Adams, 2009.